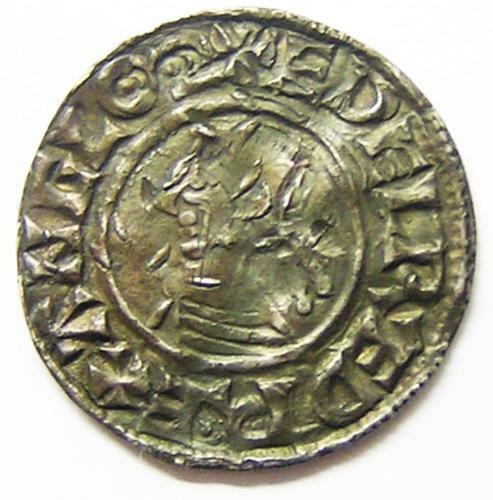 This is a Saxon silver penny of King Æthelred II, minted at Dover by the moneyer Cynsige. It is the Last Small Cross type, CYNSIGE ON DOFERAI. A nice example on a full round flan, some crinkling and peck marks from circulation in Viking held territory. The coin has a dark cabinet tone from previous collections. Nice!